Explanation: What are those strange blue objects? Many of the brightest blue images are of a single, unusual, beaded, blue, ring-like galaxy which just happens to line-up behind a giant cluster of galaxies. 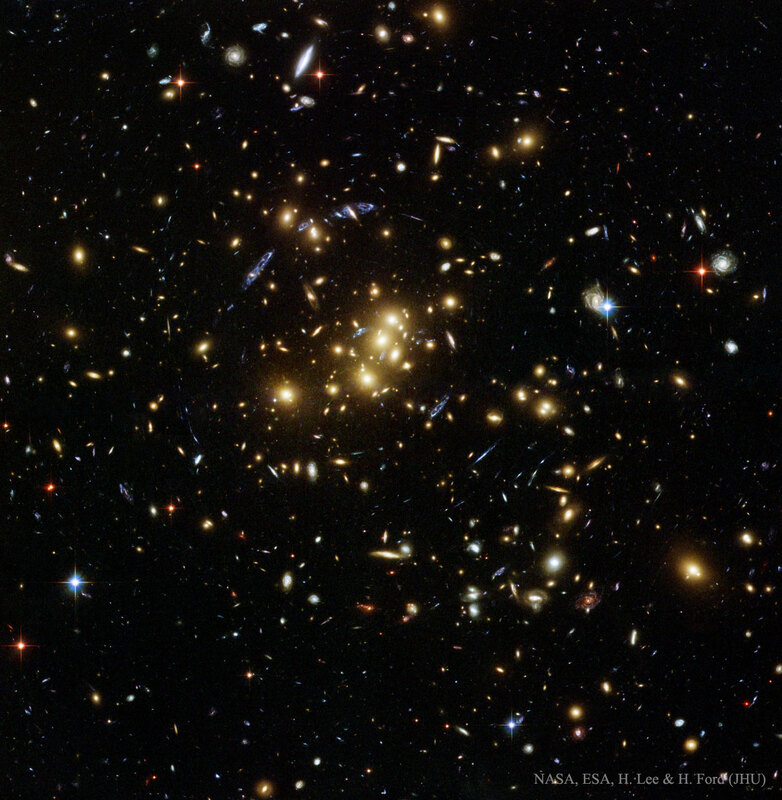 Cluster galaxies here typically appear yellow and -- together with the cluster's dark matter -- act as a gravitational lens. A gravitational lens can create several images of background galaxies, analogous to the many points of light one would see while looking through a wine glass at a distant street light. The distinctive shape of this background galaxy -- which is probably just forming -- has allowed astronomers to deduce that it has separate images at 4, 10, 11, and 12 o'clock, from the centre of the cluster. 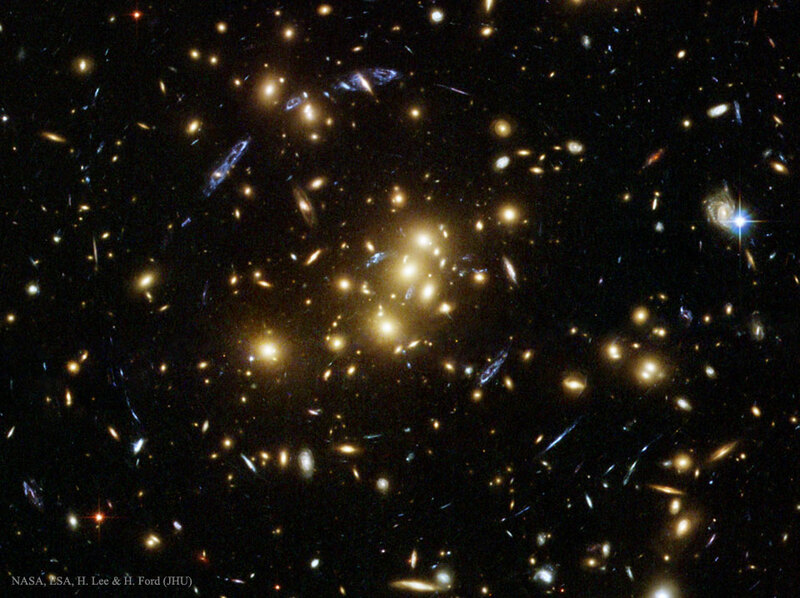 A blue smudge near the cluster centre is likely another image of the same background galaxy. In all, a recent analysis postulated that at least 33 images of 11 separate background galaxies are discernable. This spectacular photo of galaxy cluster CL0024+1654 from the Hubble Space Telescope was taken in November 2004.